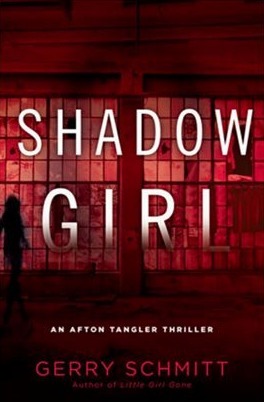 Nat’s One-Sentence Synopsis: Annabel Greene seems to have it all, but upon closer inspection readers can see the cracks the seemingly perfect facade. This is my third or fourth Sarah Dessen novel–I’m always on the lookout for quality YA books to recommend to my students–but for some reason, her books don’t resonate with me as a reader. She’s a wildly popular and successful author, and her teenage characters are authentic, but I just don’t love her books. 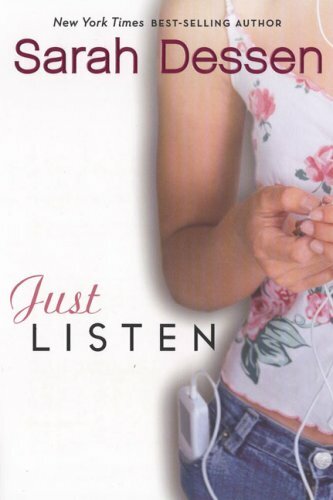 Just Listen tells the story of Annabel Greene, the youngest of three sisters, with a seemingly glamorous modeling career, solid home life, and popularity beyond measure. As the new school year starts, things begin to unravel as she realizes she doesn’t want to model anymore, her older sisters are both struggling with their own demons, and she’s a social pariah after a dark event that occurred at a party last spring. Dessen does capture an authentic teenage voice in Annabel and her portrayal of adolescent pressures, social hierarchies, and familial and friendship dynamics are all spot on, which makes my tepid appreciation for these novels even more flummoxing. Maybe it’s because the deep, dark event from last spring has been played out more successfully in other novels, and that I never felt any real tension between Annabel and Owen, her confidant and love interest. Owen was touted as a loner with a troubled past, but he seemed to be a very watered down version of Marcus Flutie, of Jessica Darling fame. 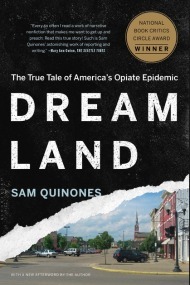 The novel covers important social issues without glossing over them, and the conflicts and themes are appropriate for YA (and beyond) audiences. Dessen wrote some really nice passages about sisterhood and family and there are themes that even reluctant readers–like some of my students–could readily recognize and relate to. I’m not ready to throw in the towel on Dessen’s works–I still recommend them to my students–but hope her upcoming release, What Happened to Goodbye (May, 2011) is a better read for me. What other Dessen books have you read? Have you read This Lullaby or The Truth About Forever? Those are my utmost favorites, and if you read those and still don’t connect with her, that’s when you know she’s just not the author for you, lol. This Lullaby in particular is different from her usual style: the narrator is a far more cynical, almost mean-girl-esque girl, and the love interest is quirky and wonderfully funny. I listened to This Lullaby and read Someone Like You, Lock and Key, and Dreamland. 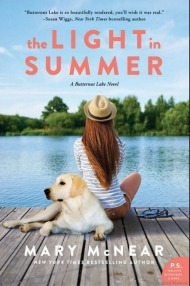 It’s not that I actively disliked any of Dessen’s books–she really does capture teen voices and issues realistically–but it’s more like I just don’t connect with the characters like I did with some of Megan McCafferty’s books or Twenty Boy Summer by Sarah Ockler. I gave Just Listen 3 bookmarks because even though I didn’t love it on a personal level, I recognize that Dessen’s writing is quality. Her characters and their voices are good, and the storyline was realistic and many YAs can relate to it. The issue with her novels seems to be more mine than anything she is or isn’t doing. I think I loved this one more for the sisterhood and family dynamics than the love story, which I remember liking but not . . . being wowed by. This is definitely one of my favorite Sarah Dessen books, though — like Steph Su, The Truth About Forever is amazing! — and I’m sorry this one didn’t impress you more! I’ve never read any Sarah Dessen books – for some reason, I prefer YA books that have more of the dystopian edge to it. Although I am going to take my first foray into “real” life stories with Speak. I might check out a Dessen book but I will bear your review in mind (as I always do!). 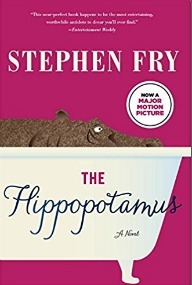 i remember reading this book a couple of months ago and i had to go back and look at my past review to see what i thought of it. it definitely wasn’t one of those books that made me want to run out and read her entire backlist, but it wasn’t so bad where i would avoid reading her books either. i felt like her books are geared more towards teenagers rather than adults who like reading young adult books (if that makes any sense at all). it looks like i need to give speak a try now. I haven’t read any Sarah Dessen but I feel like I’ve been avoiding YA books as of late. I still recommend my favorites and will even pick one up every so often but I haven’t found anything that has really rocked my world lately. Perhaps it is because I’m out of that age range and am looking for something more in the book I read. Still, I know that I will eventually settle down and read some Dessen – I have been given a bunch of her books by friends and family. I just miss the way YA books like this one used to make me feel.